Crystal Methamphetamine; How it Works? Pacific Bay Recovery > Blog > Drug Rehab > Crystal Methamphetamine; How it Works? Crystal methamphetamine, also called methylamphetamine or desoxyephedrine, is in the form of the chemical n-methyl-1-phenyl-propan-2-amine. On the street, it is simply known as “meth.” In the crystalline form, this drug is known as Ice, Tina, Glass, or Crystal. Typically, users smoke this drug in a glass pipe, but it is often dissolved in water and injected, snorted, or swallowed. 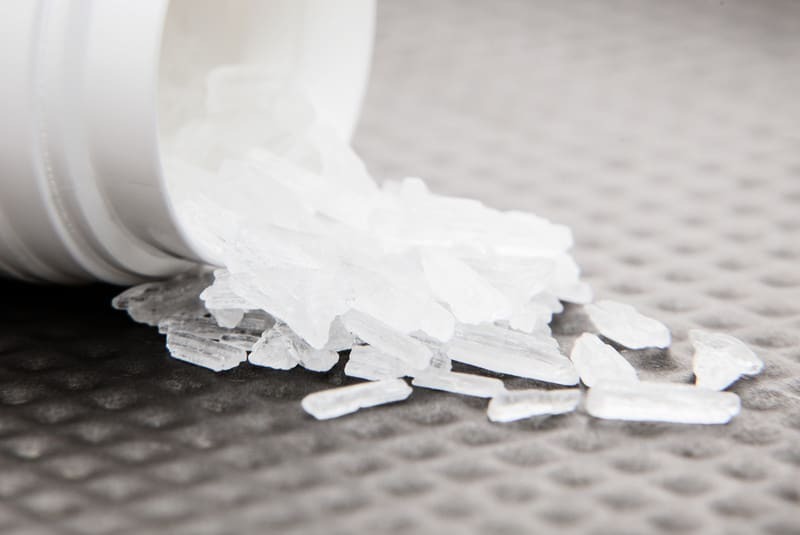 Many women use crystal meth to lose weight, but the effects are usually short term. The body grows a tolerance to this drug, so the weight loss stops after six weeks of regular use. 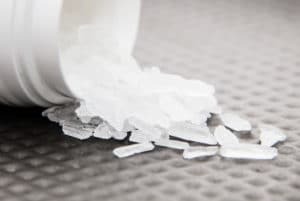 Crystal methamphetamine increases dopamine, a powerful neurotransmitter, which is involved in motivation, reward, pleasure, and motor function. This drug has the ability to release the dopamine rapidly, so the brain produces a quick “flash” of reward. This leads the user to become addicted and experience chronic relapses and compulsive drug-seeking behavior. The effects of chronic use include tolerance, temporary weight loss, drug cravings, the rapid decay of teeth (“meth mouth”), and drug-related psychosis. When a person overdoses on crystal meth, they experience a sense of flesh crawling, paranoia, delusions, hallucinations, brain damage, muscle breakdown, cardiac arrest, stroke, and/or hyperthermia. Methamphetamine is available by prescription for attention deficit hyperactivity disorder, obesity, and narcolepsy. This street drug is made in illegal labs in homes, however. The making of crystal meth involves the use of pseudoephedrine or ephedrine, which is an allergy and cold medicines. The “red, white, and blue process” is where red phosphorus, white ephedrine, and blue iodine are used to make hydroiodic acid. This type of drug is highly dangers, as the phosphorus with sodium hydroxide produces a poisonous phosphine gas, which can autoignite or blow up in the home. In addition to these substances, makers often use ether, chloroform, acetone, ammonia, methylamine, hydrochloric acid, lithium, and/or mercury to make crystal meth.